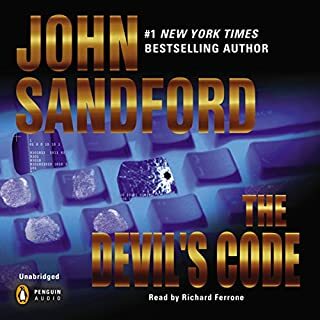 Number-one New York Times best-selling Prey author John Sandford and Michele Cook debut a high-octane young adult thriller series. 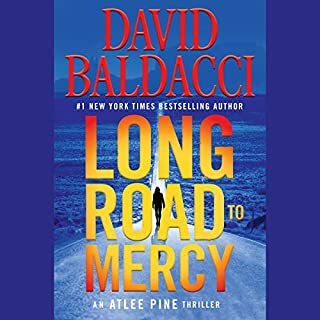 When Shay gets a frantic 3 a.m. phone call from Odin - talking about evidence of unspeakable experiments, and a ruthless corporation, and how he must hide - she’s concerned. When she gets a menacing visit from Singular’s security team, she knows: Her brother’s a dead man walking. What Singular doesn’t know - yet - is that 16-year-old Shay is every bit as ruthless as their security force, and she will burn Singular to the ground, if that’s what it takes to save her brother. What disappointed you about Uncaged? This could have been yet one more James Patterson junk novels where a great author lends their name to another writer to push out commercial tripe for young adults. Teens unite to save the world from evil corporations. Oh come on, hasn't this been done to death. Sandford is one of my all time favorite writers. May be that's why this apparent sell out was so hard to swallow. What didn’t you like about Tara Sands’s performance? Voice has the quality of nails on a chalkboard. 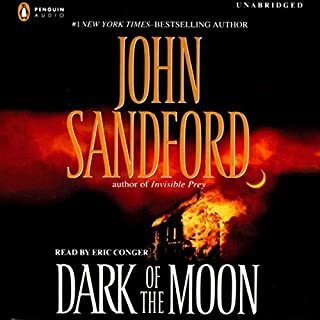 After getting used to the irritating tenor, Sands does to a good job of "telling" the story instead of reading it. Maybe its just the teenage girl screaming and wanna be hip team talk that rubs me the wrong way. Is spite of everything else, the book did take a worn out plot and move it along at a Sandford worthy pace and it is well written. I just wish I hadn't known where it was going before I got half way through the book. I hated it when Patterson decided to franchise his creativity to turn out mediocre dime store novels. I hope this series is Sandford's only venture down that path. The narrator is terrible. 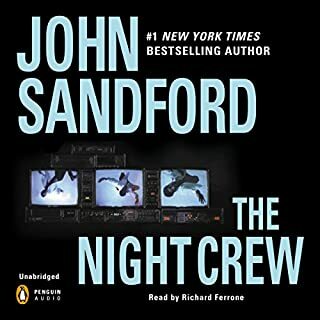 Sandford's other books have great narrators who improve the story line. 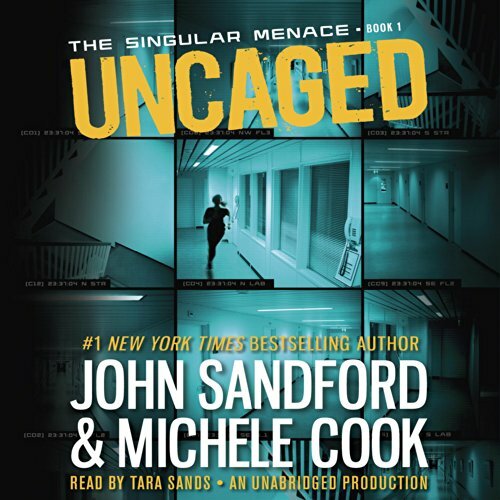 What was most disappointing about John Sandford and Michele Cook ’s story? Since they are a married couple, I thought the book would have much of the type of story he writes, however this looks like a book she wrote and he put his name with her to sell it. She is one of the most irritating readers I have listened to. The reader was so terrible that I didn't finish the book. Seems geared towards a younger audience than the Davenport series but it was pretty good once I got into it. I will get the next one when it comes out. Loved it. Was upset when it ends so abruptly. Now I have to get the next one. What would have made Uncaged better? It was over the top. 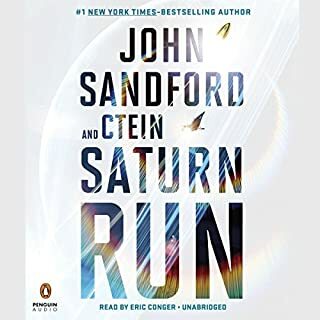 A little less constant animal cruelty (And human) and a little more story would be more what I expect from John Sandford. 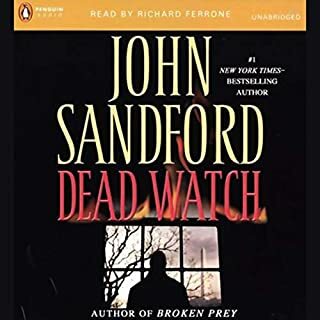 I like John Sandford. His books usually have a little humor, some good one liners and a compelling story. If his name hadn't been on it I wouldn't have bought it. This just didn't measure up. If you could play editor, what scene or scenes would you have cut from Uncaged? That whole part with the beached whales. It added nothing except to make you feel bad. She could have found her brother another way. I know he is newly married, but John Cook needs to keep writing on his own. Very disappointed. The tone of book and writing didn't feel like Sandford had much to do with writing it. Maybe he just sold his name. Finishing the book instead of requiring me to buy the sequel and not informing me this was part 1 of a two or 3 part series. Would you be willing to try another one of Tara Sands’s performances? What character would you cut from Uncaged? Yes, let us know next time that this is the frist part of a 2 or 3 part series. And that the story does not resolve itself in part 1. LET THE WIFE WRITE FOR TEENS - UNDER HER OWN NAME. Would you recommend Uncaged to your friends? Why or why not? DISAPPOINTMENT - EXPECTED SANDFORD QUALITY. MISREPRESENTATION. SEE IF TEENS LIKE IT. I stopped in the middle - thinking I would wait to the next one so I could go straight to the next book. But decided to finish it.